Mysterious Reviews, mysteries reviewed by the Hidden Staircase Mystery Books, is publishing a new review of Village of the Ghost Bears by Stan Jones. For our blog readers, we are printing it first here in advance of its publication on our website. Review: Inupiaq Alaskan State Trooper Nathan Active investigates a mysterious fire while separately seeking to identify a dead body found washed ashore on a nearby lake in Village of the Ghost Bears, the fourth mystery in this series by Stan Jones. Active and his longtime love Grace are just beginning a camping trip along the shores of One-Way Lake when they stumble upon the body of a man whose face has been eaten away by local pike. But before they can arrange to have the body recovered, Active is called to the small town of Chukchi, a coastal village in northwest Alaska, where a recreation center has burned down, killing eight people who were trapped inside when the exit doors were wired shut. The motive for arson isn't obvious, nor is one for murder ... if one of the dead was the intended target. Then there's still that unknown man at One-Way Lake. Almost certainly an accidental death from a fall, but until the body can be recovered and identified it remains another mystery for Active to solve. Though Active pursues his arson investigation with appropriate aplomb, the real appeal in Village of the Ghost Bears comes from the depiction of life in a small town and region in a remote part of the country. The fairly straight-forward plot moves along briskly, no doubt helped by a considerable amount of dialog, though a few more paragraphs of simple, descriptive narrative would have helped develop a more atmospheric setting for the characters. Still, there's no denying the excitement generated by some of the more thrilling aspects of the story, especially when Active and bush pilot Cowboy are flying off somewhere. Active watched as the pass crawled closer on Cowboy's side of the plane. Through the mist and snow, he thought he glimpsed a rock-walled valley on the south side, with a thread of water in its center diving toward the Isignaq River far below. Cowboy yelled "Here we go!" over the intercom, and the world rotated ninety degrees as he snapped the plane into a punishing left turn. He leveled the wings just in time to skim across the saddle so low that Active thought for a moment he had decided to land and taxi to the far edge. Then the terrain fell away, Cowboy dropped the nose, and they were under the clouds and in relatively clear air, hurrying down the rocky valley Active had glimpsed moments earlier. 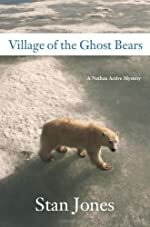 There aren't many mystery series set in Alaska, so it's always a pleasure to read one such as Village of the Ghost Bears that not only crafts an interesting story but also pays tribute to both the land and its people. Special thanks to Soho Press for providing an ARC of Village of the Ghost Bears for this review. If you are interested in purchasing Village of the Ghost Bears from Amazon.com, please click the button to the right. Mysterious Reviews, mysteries reviewed by the Hidden Staircase Mystery Books, is publishing a new review of Code 15 by Gary Birken. For our blog readers, we are printing it first here in advance of its publication on our website. 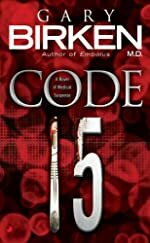 Review: Dr. Gary Birken crafts an absorbing medical thriller set in a large hospital in Miami in Code 15, the title taken from a (fictional?) code used to indicate deaths caused by preventable errors. Dr. Morgan Connolly is the Chief of Emergency Medicine at Dade Presbyterian Hospital. While under her care, two brothers with advanced cases of meningitis die. Their father threatens action against both Connolly and the hospital. Several months later, a patient attacks her own father, also a physician at the hospital, by injecting him with compressed air, killing him. Devastated by the loss of her father, and with a threat of legal action against her, she is urged to seek counseling. But her situation soon gets worse. Another patient is given the wrong medication during emergency surgery and dies, then two young women, in separate instances, die after being treated in the emergency room. These latter deaths are all classified as Code 15s: preventable medical errors. Connolly isn't convinced these were all accidents, but were intentionally caused by someone -- possibly the same person who killed her father. But who will believe her? Code 15 is a brilliantly constructed and electrifying murder mystery that offers an insider look at how hospitals operate, the laws that govern what physicians and hospitals may or may not do, and the technology used to monitor and safeguard patient treatment and care. The character of Dr. Morgan Connolly may be a little too dramatically drawn -- not only is she grieving for her dead father and fending off charges of incompetence, but she's estranged from her gambling addictive husband and in her first trimester of pregnancy -- but that's a minor criticism in what is otherwise a first-rate thriller. Special thanks to guest reviewer Betty of The Betz Review for contributing her review of Code 15 and to Goldberg McDuffie Communications for providing a copy of the book for this review. If you are interested in purchasing Code 15 from Amazon.com, please click the button to the right. Code 15 (Kindle edition) is also available. Learn more about the Kindle, Amazon's Wireless Reading Device. Synopsis (from the publisher): As the Chief of Emergency Medicine at Dade Presbyterian Hospital, Dr. Morgan Connolly faces death and suffering on a daily basis. So when two brothers in her care suddenly die from far advanced meningitis, she is devastated but understands as a doctor, she has to let it go. Not long after, Morgan's own father is killed in what seems to be a random attack. At the same time, the number of patients dying due to devastating but seemingly preventable medical mistakes -- also known as a Code 15 -- begins rising dramatically throughout the hospital. Morgan become suspicious that her father's death and that of the other patients were not random events. Her relentless pursuit of the truth leads her superiors to think she's losing her edge. As she begins to unwind a ruthless conspiracy, Morgan becomes convinced someone or some group is cutting a deadly path of vengeance through Dade Presbyterian -- a path that may end with her facing her own demise at the hands of a merciless madman. The Hollywood Reporter is reporting that Roadside Attractions has acquired the North American rights to the film adaptation of Daniel Woodrell's 2006 novel Winter's Bone. The film took the Grand Jury Prize for US Dramatic Film at the 2010 Sundance Film Festival. 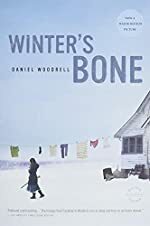 "With Winter's Bone, [director] Debra Granik has crafted a classic detective story, a nail-biting thriller and an unbelievably touching family drama, all in one film," said Roadside's Dustin Smith. "It's everything Sundance is about. It's everything independent film is about. And it's everything I go to the movies for." Mysterious Reviews, mysteries reviewed by the Hidden Staircase Mystery Books, is publishing a new review of In Too Deep by Jude Watson. For our blog readers, we are printing it first here in advance of its publication on our website. Review: Amy and Dan Cahill continue their quest for the 39 Clues to Australia, following the trail their parents took 10 years earlier, in In Too Deep, the sixth book in this series, this one written by Jude Watson. Amy and Dan arrive in Sydney from Moscow, intent on locating an old family friend who may know more about why their parents visited Australia a decade earlier. The siblings had accompanied their parents, but were too young to remember much. Yet just seeing their "uncle" and visiting his home starts to bring back memories for Amy ... and not necessarily ones she wants to remember. Relentlessly pursued by other members of the family, the two increasingly find that danger seems to lurk around every corner -- and security is provided by an unexpected source. It isn't strictly necessary to have read the previous books in this series to enjoy In Too Deep, but it would undoubtedly help. The first few pages provide sufficient background to allow first-time readers to get acquainted with Amy and Dan and why they're on a race around the world in search of clues that will make them the most powerful people in the world. It takes a little more effort to learn in which other family members are also in pursuit of this goal, and which of the four branches they belong (and why this is important). A key phrase from this entry in the series is "trust no one". Amy is told this, and "for the first time, she truly understood what [it] meant. The stakes were so much higher than she'd thought. The lies cut so much deeper. Right to her heart." In Too Deep is a thrilling story, to be sure, but it is also a study in self-reflection and the choices one makes. Adult readers may appreciate this aspect of the story a bit more than younger readers, who will likely revel in the chase through Australia and on to Jakarta. There are also references to famous historical figures who Amy and Dan discover are also Cahills, though admittedly distant relations. It's probably not giving away too much (given the book's cover) to reveal that Amelia Earhart -- also revealed to be a Cahill -- plays a key role in their search here, and it's a thrilling possibility that her time in Australia prior to setting off across the Pacific may have involved the Cahill family. In Too Deep furthers Amy and Dan's adventure in a grand way. According to an endpaper, the next book in the series, The Viper's Nest, promises to reveal what family branch Amy and Dan are in. Special thanks to Scholastic for providing a copy of In Too Deep for this review. If you are interested in purchasing In Too Deep from Amazon.com, please click the button to the right. 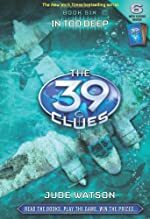 Synopsis (from the publisher): Fourteen-year-old Amy Cahill and her younger brother, Dan, head to the Land Down Under to discover what their own mother and father knew about the hunt for the 39 Clues. But following in their parents' footsteps brings up lost memories for Amy so awful that she can't share them ... even with Dan. Haunted by the ghosts of their past, chased by deadly competitors, Dan and Amy can't see who is an enemy and who is a friend. Their blindness leads to a terrible mistake ... and the death of a hidden ally. Rumors and mysteries surround the death of the young Egyptian pharaoh, King Tutankhamen. Famed archeologist John Carter thinks he may have discovered a possible solution to the mystery of the young king's reign. Tricks and traps have been set by an ancient brotherhood to protect the memory of the pharaoh and throw John off his path of research. John is determined to dig up the truth and put speculation about King Tut to rest. 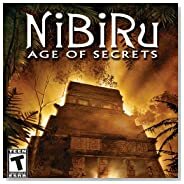 Play the role of famed archeologist, moving through 10 acts with more than 50 levels while seeking the truth behind the Valley of Kings. Discover hundreds of items in each location and pick up clues throughout the game to decipher ancient codes. Gather your clues through each mysterious level and see if you can discover the mystery in the ancient hieroglyph-crusted walls and hidden chambers. See also the other games in the "Lost Secrets" series, Lost Secrets: Bermuda Triangle and Lost Secrets: Caribbean Explorer. 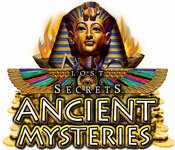 Lost Secrets: Ancient Mysteries may be downloaded and purchased for $6.99 with a Big Fish Game Club membership. A demonstration version (39.80 MB) may be downloaded and played for free for one hour. 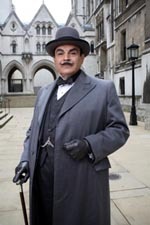 In a recent Telegraph article, David Suchet, the actor who has so memorably portrayed Agatha Christie's Belgian sleuth Hercule Poirot for 20 years, says he's "pragmatic" over the future of the series. A year ago, Suchet expressed his desire to complete filming all of Christie's Poirot novels and short stories. But that goal is now in doubt, as ITV has not yet revealed any plans to start work on the few remaining stories to be filmed. "I'm pragmatic and accept that things get cancelled," Suchet said. "Of course there are cutbacks in TV drama and if it is not to be, it is not to be. I will have to be a big boy and accept it." Several films have already been filmed but have not yet been scheduled. ITV previously cancelled Poirot in 1995, only to bring it back four years later. 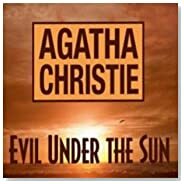 Visit Mysteries on TV: Agatha Christie's Poirot for more information about Agatha Christie's Poirot series available on DVD. 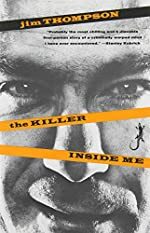 The Hollywood Reporter is reporting that IFC Films has acquired the US rights to the film adaptation of pulp novelist Jim Thompson's 1952 thriller The Killer Inside Me. According to THR, the violent, provocative film screened last week to a noisy audience, some of whom were offended by the cold-blooded beatings of characters. A release is planned this summer. Thompson's work has previously been adapted for the screen, including the 1972 film The Getaway and the 1990 film The Grifters, and even The Killer Inside Me, a 1976 film starring Stacy Keach. About the film (from the studio press release): The Killer Inside Me tells the story of handsome, charming, unassuming small town sheriff’s deputy named Lou Ford (played by Casey Affleck). The film takes place in an idyllic West Texas town in the early 1950’s. As a lifelong resident, Ford has difficulty juggling his long-term girlfriend Amy (Kate Hudson), the prostitute named Joyce (Jessica Alba) that he mistakenly falls for, and the sociopathic tendencies inside him. In Thompson’s savage, bleak, blacker than noir universe, nothing is ever what it seems. If our mystery book buyers are having trouble finding certain titles to purchase through Amazon.com this morning, there's a simple reason for that: Amazon.com has pulled from its virtual shelves all books published by Macmillan and its imprints. The reason for doing so: Amazon.com and Macmillan are disputing how the online retailer prices the publisher's e-books. The New York Times printed a good summary on the dispute earlier today. Amazon.com pulling all of Macmillan's titles seems extreme, to say the least. And it could, presumably, get worse. Macmillan is but one of five major publishers which have recently spoken to Apple about offering electronic versions of their books for sale on the new iPad ... at substantially higher retail prices. The others (all with major imprints that regularly publish mystery books) are Penguin Group, HarperCollins, Hachette Books, and Simon & Schuster. Let's hope this is a temporary situation, and that the book publishers and online booksellers can resolve their differences without dragging their customers any further into the mix. Ghost in the Machine by Patrick Carman. The 2nd title in this multi-media mystery series. Recommended for readers aged 10 to 12. Lexile measure: N/A. Reviewed by a 6th grade student who wrote, "Carman has written a delightfully terrifying story, and everybody I've spoken to about it seems to have loved it." Malice by Chris Wooding. The 1st book in the Malice series. Recommended for readers aged 12 and older. Lexile measure: 650L. Reviewed by a 6th grade student who wrote, "I’m not really into horror books like Malice, but I could NOT put Malice down for a moment!" Hunter Brown and the Consuming Fire by The Miller Brothers. The 2nd book in The Codebearers series. Recommended for readers aged 10 to 12. Lexile measure: N/A. Reviewed by a 6th grade student who wrote, "Action-packed and fun to read," adding, "I loved all the action and how you never knew what would happen next." Momentum Pictures recently released the first English-language trailer for The Girl with the Dragon Tattoo, based on the bestselling novel by Stieg Larsson. The film, in Swedish with English subtitles, is scheduled to be in US theaters this March. The Girl with the Dragon Tattoo (Swedish title: Män som hatar kvinnor, literally "Men Who Hate Women") is the first in a trilogy of thrillers by the late author. The second novel, The Girl Who Played with Fire (Swedist title: Flickan som lekte med elden) was published in the US last summer while the third and final novel in the trilogy, The Girl Who Kicked the Hornet's Nest (Swedish title: Luftslottet som sprängdes), is scheduled for US publication this May. All three books have been adapted for film in Sweden. Original English-language adaptations of the trilogy are in development. 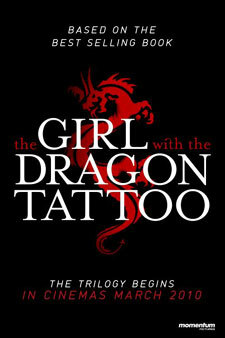 The Girl with the Dragon Tattoo film synopsis (from the studio): Forty years ago, Harriet Vanger disappeared from a family gathering on the island owned and inhabited by the powerful Vanger clan. Her body was never found, yet her uncle is convinced it was murder and that the killer is a member of his own tightly knit but dysfunctional family. He employs disgraced financial journalist Mikael Blomkvist (played by Michael Nyqvist) and the tattooed, ruthless computer hacker Lisbeth Salander (Noomi Rapace) to investigate. When the pair link Harriet's disappearance to a number of grotesque murders from almost forty years ago, they begin to unravel a dark and appalling family history. But the Vanger's are a secretive clan, and Blomkvist and Salander are about to find out just how far they are prepared to go to protect themselves. 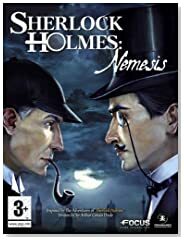 Games of Mystery, your source for mystery-themed board, electronic and video games, parties for kids and adults, murder mystery weekends and mystery getaway vacations, and more mysterious fun, is pleased to announce this week's new mystery and suspense games available for immediate download from Amazon Video Games. Windows Vista / XP (1049 MB download). Famous detective Hercule Poirot is back in typical style, turning up at just the right time to begin an investigation into the murder of a famous actress during what should have been the start of a relaxing holiday. Taking on the role of Hercule Poirot, players can scour a stunning tropical island for clues and delve deeper into the mysterious relationships between over 20 unique characters to search out the killer. Windows Vista / XP (1244 MB download). 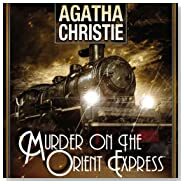 Aboard the historic Orient Express, as Antoinette Marceau, a new character introduced in the game, you must help the famous Belgian detective Hercule Poirot solve the puzzling murder of Mr. Ratchett. Is the victim really who he claimed to be? What motive would any of the passengers have that would bring them to commit this heinous crime? It is up to you to find out! Windows Vista / XP (1275 MB download). 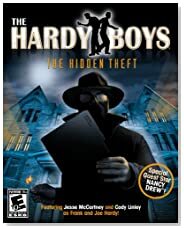 The vault at the Spencer Mansion is robbed, and the Bayport Police call on the Hardy Boys to help tie up some loose ends - but they soon find themselves in the middle of a major criminal investigation that takes them on an adventure all over Bayport, and even into New York City. But the pieces don't add up, and Frank and Joe find themselves embroiled in a drama of sinister proportions. Can Frank and Joe find and decipher the clues in time to prevent another crime from happening? Windows Vista / XP (948 MB download). A friend of Martin's uncle is supposed to meet Martin upon his arrival to brief him on the mysterious discovery, however when he arrives in Prague he discovers she has been murdered. What begins as a short expedition to Prague to examine an enigmatic tunnel turns into a dangerous and thrilling mystery, where murder, deception, the deep dark secrets of Nazis and the demise of the Mayan civilization, have our hero reeling into the heart of an exhilarating adventure. Windows Vista / XP (955 MB download). Set in 19th century England, world-famous detective Sherlock Holmes is set to confront Arsene Lupin, the young master thief from France. Lupin comes to London with one goal in mind -- to steal five objects of immense value over five days from prestigious locations across London, such as the National Gallery, the British Museum, the Tower of London and even Buckingham Palace. It is up to Sherlock Holmes to put a stop to this potential national catastrophe! Windows Vista / XP (819 MB download). 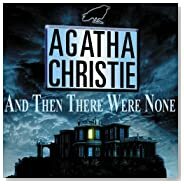 A complete list of downloadable mystery games is available on our Games of Mystery: Amazon.com Game Download page. Summit Entertainment has released the first US trailer for its upcoming film The Ghost Writer, a thriller based on the 2007 novel The Ghost by Robert Harris. Directed by Roman Polanski, the screenplay was co-written by Polanski and Harris. 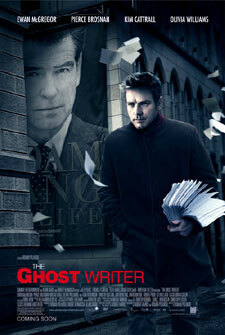 The Ghost Writer synopsis (from the studio): When a successful British ghostwriter, The Ghost (Ewan McGregor), agrees to complete the memoirs of former British Prime Minister Adam Lang (Pierce Brosnan), his agent assures him it’s the opportunity of a lifetime. 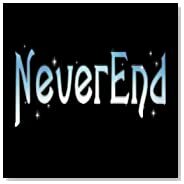 But the project seems doomed from the start -- not least because his predecessor on the project, Lang’s long-term aide, died in an unfortunate accident. The Ghost flies out to work on the project, in the middle of winter, to an oceanfront house on an island off the U.S. Eastern seaboard. But the day after he arrives, a former British cabinet minister accuses Lang of authorizing the illegal seizure of suspected terrorists and handing them over for torture by the CIA -- a war crime. The controversy brings reporters and protesters swarming to the island mansion where Lang is staying with his wife, Ruth (Olivia Williams), and his personal assistant (and mistress), Amelia (Kim Cattrall). As The Ghost works, he begins to uncover clues suggesting his predecessor may have stumbled on a dark secret linking Lang to the CIA -- and that somehow this information is hidden in the manuscript he left behind. Was Lang in the service of the American intelligence agency while he was prime minister? And was The Ghost’s predecessor murdered because of the appalling truth he uncovered? Resonating with topical themes, this atmospheric and suspenseful political thriller is a story of deceit and betrayal on every level -- sexual, political and literary. In a world in which nothing, and no one, is as it seems, The Ghost quickly discovers that the past can be deadly -- and that history is decided by whoever stays alive to write it. The film also stars Tom Wilkinson, Timothy Hutton, and Eli Wallach. Nick Chase is back in an all-new adventure and is ready for action! After a mysterious package arrives at his favorite bar, Nick has a new case. Discover who delivered the ancient artifact, and what exactly the curse of the Deadly Diamond is, as you explore gorgeous hidden object scenes, solve perplexing puzzles to track down valuable clues, and crack the case. Also available: Nick Chase and the Deadly Diamond Strategy Guide and Nick Chase and the Deadly Diamond Game Walkthrough. See also the first game in the series, Nick Chase: A Detective Story and our review of Nick Chase: A Detective Story. 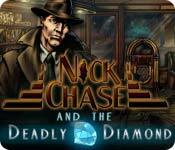 Nick Chase and the Deadly Diamond, a BFG exclusive, may be downloaded and purchased for $6.99 with a Big Fish Game Club membership. A demonstration version (134.71 MB) may be downloaded and played for free for one hour. A list of the top 15 mystery hardcover bestsellers for the week ending January 29, 2010 has been posted on the Hidden Staircase Mystery Books website. No change in the top five titles this week (though Robert Crais' second Joe Pike mystery, The First Rule, moves into the top four), but two new titles enter the top 15. 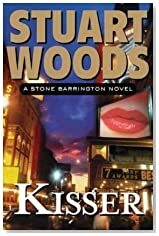 Moving up from 18 to 6 is Kisser, the 16th legal thriller by Stuart Woods featuring New York City attorney Stone Barrington. After a rather harrowing sojourn in Key West, Stone Barrington is back in New York and looking forward to some downtime working cases for Woodman & Weld that the prestigious law firm does not wish to be seen to be associated with. But when he crosses paths with a fetching Broadway actress—and sometime lip model—Stone gets a little more deeply involved with show business than he’d expected. Then the fleecing of a wealthy art dealer’s daughter leads him into the worlds of financial fraud, Big Art, and Manhattan’s Upper East Side, where opulent co-op apartments are hung with multimillion-dollar paintings, and where family scandals never remain hidden for long. No stranger to high society or the foibles of the rich, Stone soon realizes he must uncover the truth in a world where wealth and beauty may come at an unusually high price. 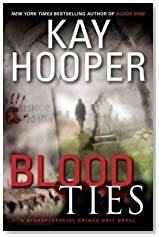 New this week at number 14 is Blood Ties, the third and final entry in this paranormal trilogy by Kay Hooper featuring members of the FBI's Special Crimes Unit. The elite Special Crimes Unit, the FBI’s most controversial and effective team, is a group of mavericks and misfits trained to use their unique psychic abilities to hunt the worst monsters imaginable—human ones. Led by the enigmatic Noah Bishop, the SCU has earned a reputation for pitting their skills and cunning against killers that other cops fear. But this time Bishop and his agents face an enemy who has them in his sights, a trained sniper with a deadly plan—and more than one ace up his sleeve. It starts with an unspeakable series of grisly murders across three states, a trail of blood leading, finally, to the small Tennessee town of Serenade. There, two more brutal killings lure the SCU into what may be the ultimate trap. One of the first investigators on the scene, Special Agent Hollis Templeton, is willing to push herself as hard and as far as necessary. Risking more than her life to help and protect her SCU colleagues, Hollis must cope with her own psychic abilities, which are evolving in unprecedented ways, an attraction to the most complex man she’s ever known, and a serial murder investigation that turns very, very personal. In her time with the SCU, Hollis has shown an uncanny ability to survive even the deadliest attacks. But what she can’t know is that this killer intends to destroy the team from within. The clock is ticking. The body count is rising. And as Bishop and his agents race to uncover the true identity of their enemy, not even their special senses can warn them just how bloody, and how terrifyingly close, the truth will be.